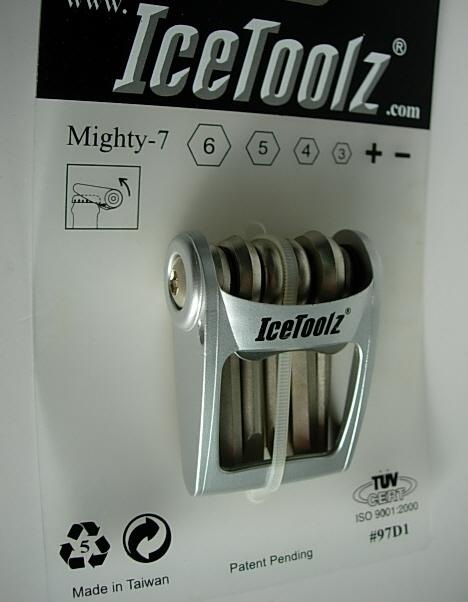 Icetoolz 97D1 Mighty 7 BIcycle Multi tool silver. 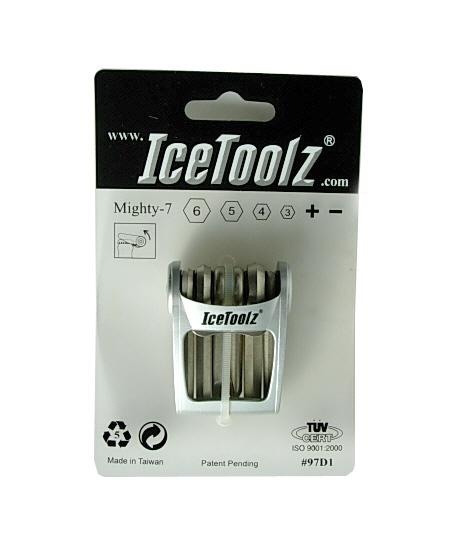 "Mighty-7" ●3x4x5x6mm hex keys●+/- screwdrivers●bottle opener●Weight: 76g. Patented.